The high tannin content of uva ursi can cause nausea and vomiting and should not be taken if pregnant, while breastfeeding, or be given to children under the age of twelve. Do not take in the presence of kidney disease. Do not take longer than seven to ten days at a time as liver damage can occur. High doses and long-term use can also cause serious urinary tract irritation; and hydroquinone, derived from arbutin, may be toxic to the liver. In addition, long-term use can also affect nutrient absorption especially if taken in conjunction with a neutralizing agent. Do not give in combination with preparations that cause acidic urine since this reduces the antibacterial effect. Excessive use by anyone can cause stomach discomfort and pain. Native to Europe, the herb is now naturalized throughout the Northern Hemisphere up to the Arctic. It is popular with some gardeners who cultivate it as a ground cover. Uva ursi is a low-lying perennial evergreen shrub, growing to twenty inches having long, trailing stems, dark green leaves that are glossy on the upper side, bell-shaped pink flowers, and small glossy red berries. It grows in damp conditions in undergrowth, heathland, and grassland. The leaves and berries are gathered in autumn. It is the bitter leaves that are used medicinally and have been used as such for more than a thousand years from the Himalayas to North America. In Latin, the name uva-ursi means "bear's grape" and stems from the fact that bears feast on the red berries and bitter leaves. Although the red fruits resemble cranberries, their taste is rather bland. After his return from China, Marco Polo described how Chinese doctors used the herb to treat urinary disorders. 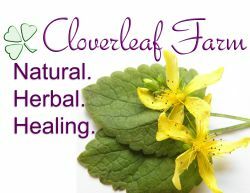 European healers soon followed suit, and herbalists continue to recommend it for kidney and bladder disorders. The plant was first documented in The Physicians of Myddfai, a 13th century Welsh herbal. The fruit formed part of the staple diet of the Native American who, in turn, taught the new settlers to appreciate the herb as a food and as a medicine. The Okanagan-Coleville Indians drank a tonic to treat kidney and liver problems, made by combining the stems and leaves of urva ursi along with twigs from the Oregon grape. Recent chemical studies document that the leaves do contain antibacterial chemicals which appear to validate the long-standing use of uva ursi in treating urinary tract and bladder infections. Arbutin, which becomes hydroquinone in the body, is an antiseptic that can kill bacteria and other micro-organisms. Ursolic acid and isoquercitrin have diuretic properties, but it is not known whether the herb can actually rid the body of excess water. It has proven to be effective on several organisms, including E. coli and Staphylococcus aureus, common in urinary tract infections. The herb also appears to destroy Candida albicans, a common cause of yeast infections. Astringent and diuretic, uva ursi is used almost exclusively in the treatment of urinary disorders by herbalists in North America. It is widely used to disinfect and astringe the urinary tract in cases of acute and chronic cystitis and urethritis. Although one of the best natural urinary antiseptics, it is not suitable if there is a simultaneous kidney infection. Research has confirmed its antibacterial effect, which is thought to be stronger in alkaline urine. Thus, it is likely to be more effective if taken in combination with a vegetable-based diet. Therefore, while taking uva ursi, such vitamin C and acid-rich foods as citrus and many other fruits, should be avoided. A quick way to ensure an alkaline urine is to dilute a teaspoon of baking soda in a glass of water and drink it when taking the herb. However, this should not be done for more than one week at a time as this process will eventually interfere with nutrient absorption. The herb is also an anthilic, quickly breaking down kidney and bladder stones, and stopping new ones from forming. It has been recommended for ulceration of the bladder and leucorrhoea and to reduce excessive menstrual flow. To ease muscle pain and sprains, a poultice of crushed leaves can be used on the area. Boil the leaves in a small amount of water and drain. Cover the area with cheesecloth and place the leaves on top then cover with a towel to retain the heat. This treatment can be repeated two or three times a day until healing takes place. There are over seventy species of Arctostaphylos, with uva ursi being one of the most pronounced medicinally. It is available commercially in forms for infusions, cold macerations, extracts, capsules, and powdered forms. These preparations can also be made at home under professional guidance.